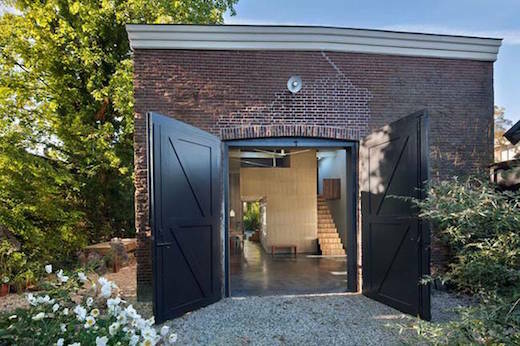 With the help of architect Niek Wagemans, Bruggink first drew up the plans of how to turn the old coach house into a modern home. Much of the focus was on reusing the old as much as possible, and to basically just give an old structure a new life. In that, they very much succeeded. 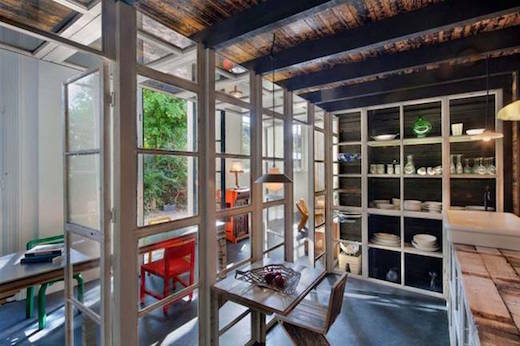 The coach house measures 538 sq ft (50 sq m), which was all more or less one space. 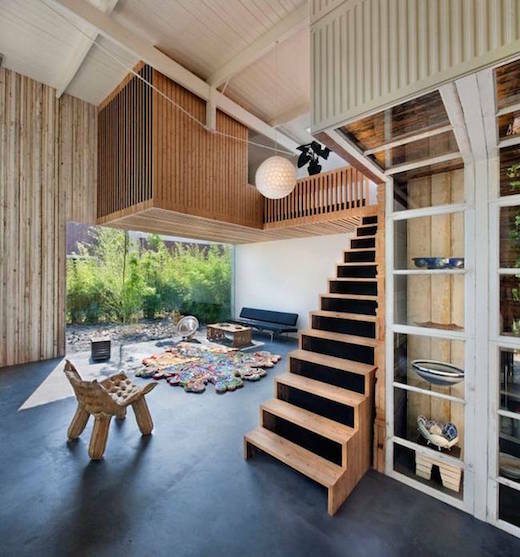 To create some partitions, they first inserted a series of enclosed, suspended wooden volumes, which basically divide up the house into the needed areas, namely bedrooms, bathroom and office. 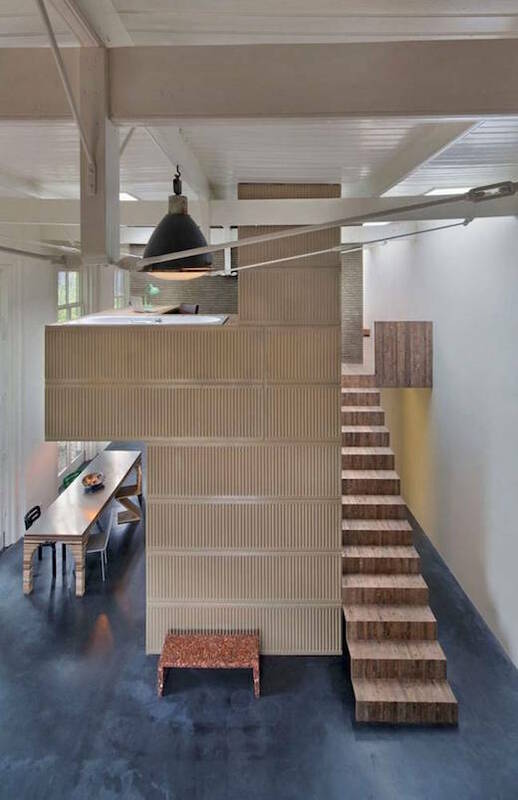 It was a very clever idea to use these suspended volumes for the purpose of separating off the space into different rooms, since the coach house had a very tall ceiling and this space was thus very well utilized. All these overlook the open plan dining, living and kitchen area. They also cut out a large window from the coach house wall to let in more natural light. The interior is very modern and minimalist, with a bit of an industrial aesthetic thrown in. 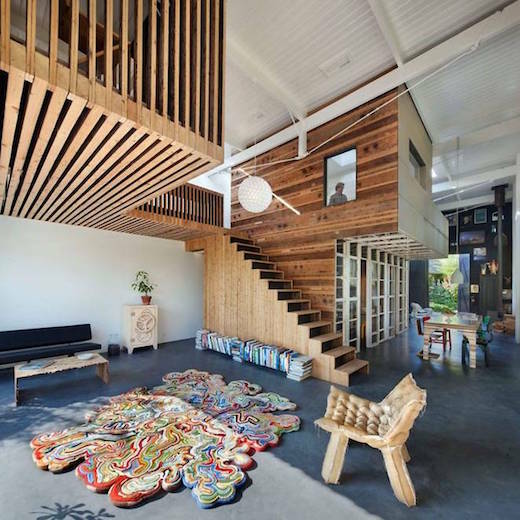 This is yet another example of a sustainable home renovation done right. 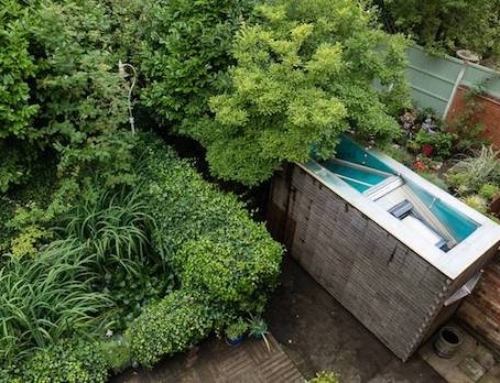 It’s always more eco-friendly to live in an existing house, than to build a new one. And while they did demolish an office building in this case, they reused and salvaged a lot of the materials from that.